Giraffes are one of the most well-known animals across the world. They are ubiquitous with zoos and the African savannah. Their long necks and odd attempts at sitting captivate us. It was only a few months ago that April the giraffe was watched by hundreds of thousands of people across the internet for months as they awaited the day she would give birth. The live stream, set up by the Animal Adventure Park in New York, went viral and interest into giraffes exploded. This renewed interest is a boon for giraffes and conservationists as it also allows us to turn our attention to the unsavory parts of the lives of giraffes: the diseases that they are afflicted by, like giraffe skin disease and hoof diseases. Among the rarer kinds of diseases that affect giraffes, albinism and leucism are the two that captivates the most attention because of the pigmentation change they result in. Recently, a mother giraffe and her child were spotted at a reserve in Kenya by rangers working at the Hirola Conservation Program. The pair were difficult to miss owing to their white skin and they eventually went viral as the conservation program posted videos of them online. Having once again captured the public’s attention, the question that remained was why were they white and not like other giraffes? The answer was one of two choices: albinism and leucism. Albinism is a rare and inherited condition in humans, animals, and plants. 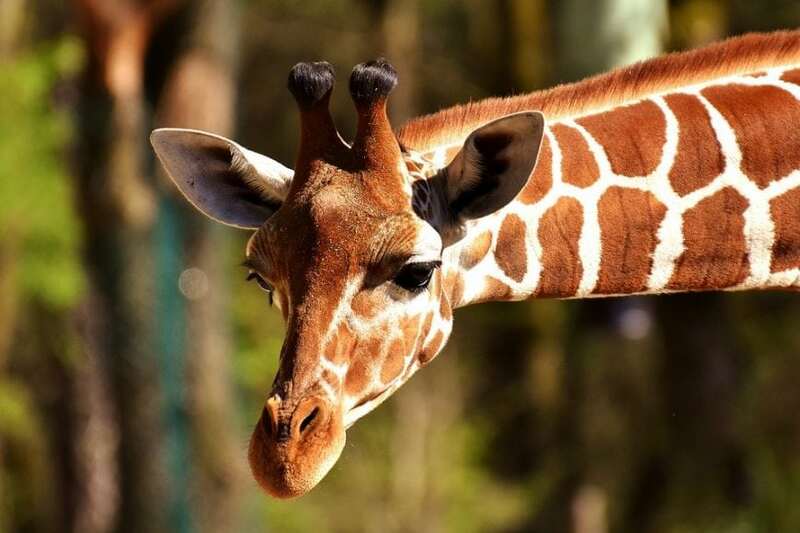 It is characterized by a lack of pigmentation or coloration in the afflicted with the result being white hairs and pink/red eyes in mammals like giraffes. Albinism is a recessive disease, meaning that you must inherit it from both parents for it to become a disease, otherwise it stays hidden. Melanin, the pigment responsible for the skin coloration of humans and most mammals, is the main focus in albinism. There are many genes, proteins, and hormones that play a role in the synthesis of melanin and the process of pigmentation. An albinism disease represents a disruption in this process and it results in melanin not being produced, therefore, there is no coloration of the skin, hair, or eyes. Leucism is also a rare and inherited condition that affects humans, animals, and plants. Unlike albinism, leucism is characterized by a partial lack of pigmentation everywhere except the eyes. Leucism is the result of defects in the differentiation process of pigment cells during the developmental stage of the organism. During development, we have precursor cells that become all the different kinds of cells in our bodies. All pigment cells originate from the same type of precursor cells, so any defects in their development can affect all or some of the resulting pigment cells. This is different from albinism because in albinism the melanin cells are fine, but they produce little or no melanin products. The reason that the eyes of leucism affected animals remain normal is that the melanin cells that make up the eye are from different precursor cells than the pigment cells affected by leucism. The problems that albinism and leucism causes are many and can be detrimental to those afflicted. The red eyes in albinism, caused by seeing the red blood vessels in the eye instead of any pigmentation, results in diminished eyesight. Melanin gives our skin protection from the harmful UV rays of the sun, so there is an increased occurrence of skin diseases, like skin cancer, in albinos and those with leucism. The lack of coloration also affects social and mating interactions in the afflicted. 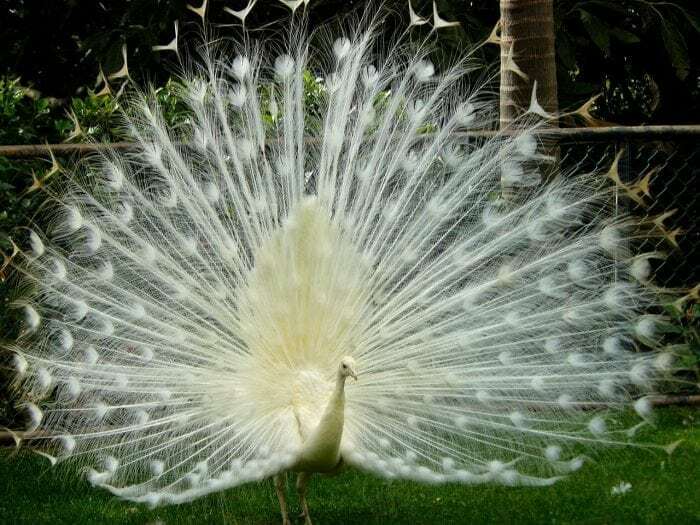 Birds that use their colorful plumage for courting a mate would be at a distinct disadvantage if they lost all of that due to either albinism or leucism. Animals that use their skin, hair, or fur patterns to camouflage would lose those advantages against predators if they lost their pigmentation. The strangeness of their white bodies also attracts the unwanted attention of poachers that sell them as rare and exotic. Humans with albinism also face social stigma and isolation from a misunderstanding of the disease and how different it is from the rest of society. In some cultures, there is an air of mysticism that is placed on those with albinism that makes them targets of the superstitious. So, using the information about albinism and leucism, we can determine that the pair of white giraffes seen on the Kenyan reserve are afflicted with leucism because they have their normal eye color. It is easy to look and assume that they are albinos. This assumption results in many cases of leucism being misrepresented as albinism, which makes the number of cases of leucism seem less than what they actually are, though it is still an extremely rare disease. Leucism was last seen in a giraffe at the Tanzania Tarangire National Park in 2016. While leucism and albinism may be rare in giraffe populations, it is important that we continue to study and get a better picture of the kinds of diseases that affect them. Giraffes are an endangered species that are threatened by poachers, loss of habitats, and changes in their climate. Despite the leucism, the giraffes are lucky to be alive because more than half of all giraffes do not make it to 6 months or older, according to the Giraffe Conservation Foundation. This is because of poachers, predatory animals, food shortages, and many other factors that we need to examine. If we want to be able to save them from extinction, it becomes important to understand the threats that they face, which includes the diseases that affect them. While conservation efforts continue to combat the anthropogenic factors endangering the giraffes, genetic editing technologies, like CRISPR, stands to combat the diseases that also endanger the populations. In the future, we may be able to eliminate or fix the genetic defects that lead to albinism or leucism as well as address any other diseases or conditions that affect their survival in the wild and captivity.